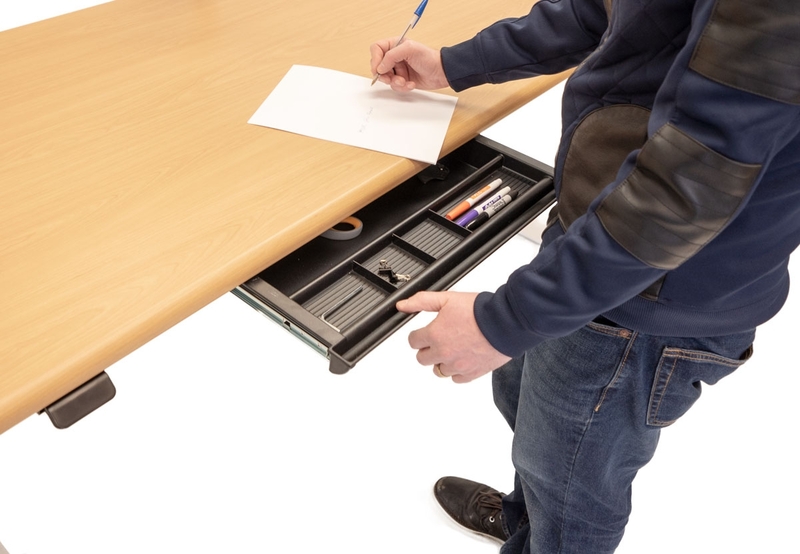 With its intelligent design and easy-gliding, precision ball-bearing tracks this drawer works perfectly with most rectangular top sit-stand desks, including the iMovR Lander series. The iMovR Hide-Away Storage Drawer provides plenty of space and compartments for keeping things organized, has the build quality you'd expect from an iMovR product, and comes pre-assembled for easy installation. Drop height can be adjusted on the slide brackets for when using as a keyboard tray, with seven adjustment stops between 2.3" and 3.6". The 20.5” wide x 16.0” deep molded plastic tray has convenient storage compartments up front for holding pens and office supplies, and a large compartment in the back for holding a keyboard, notebook computer, iPad, or anything else you need to store out of view. The lightweight design weighs only 5 lbs yet can support up to 20 lbs of contents. 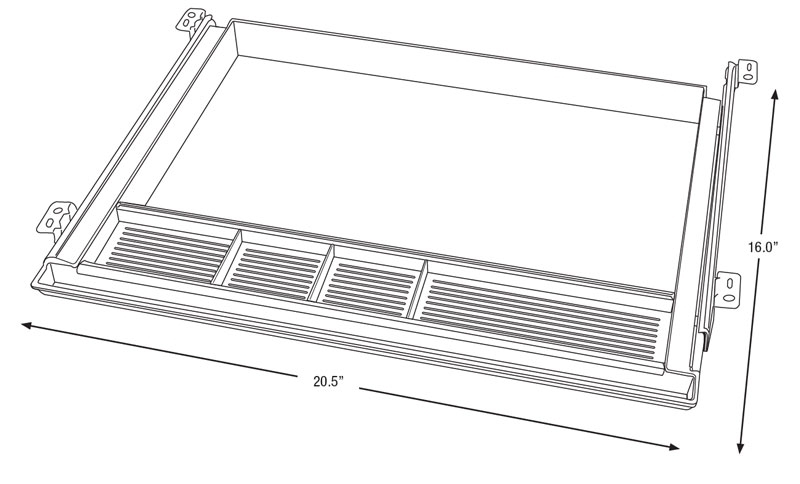 This drawer requires only 16" of depth and 20.5" of width to be clear of obstructions. 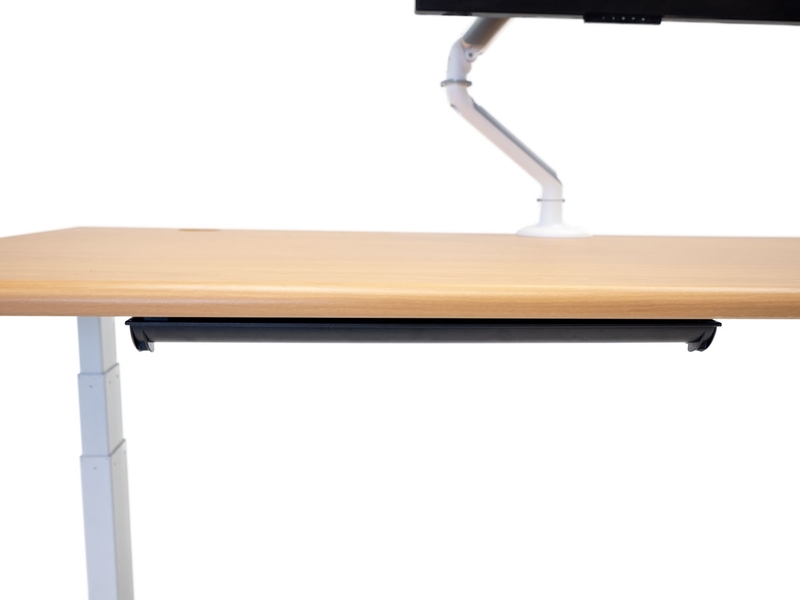 It is compatible with all iMovR Lander desks with rectangular tops, and some of the larger Lander desks with built-in SteadyType, as well as the 71" Energize desk. Not compatible with smaller Energize desks, Cascade models or corner desks.